How do I login to Bizimply? To access your Bizimply account - you need to be given permission by an administrator/manager. Ask your manager/admin to grant you the appropriate access. 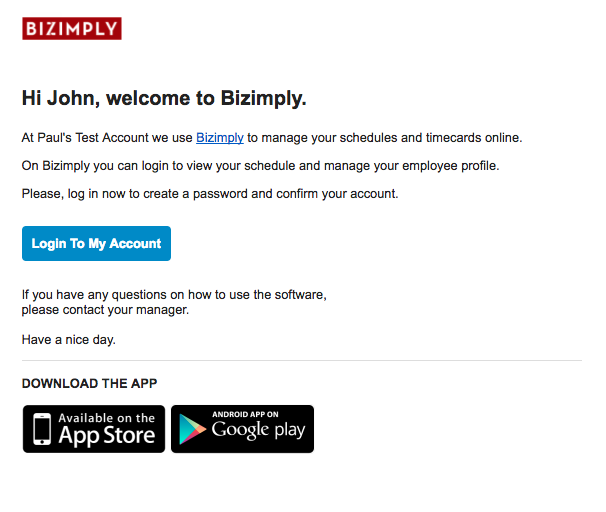 When you are given access to Bizimply, you will receive an email welcoming you to Bizimply. This email will have a link to create a password and access your account. The address you received the email to and password created are your login details. The link will only work if clicked within 48 hours for security reasons. If you see a warning after clicking the link, you can be sent a password reset by clicking here or using the ‘forgot my password’ option on the login page. Once you have followed the link to set up your account you will be brought to a page to enter in your own password and prompted to enter into the account or even your employee profile. 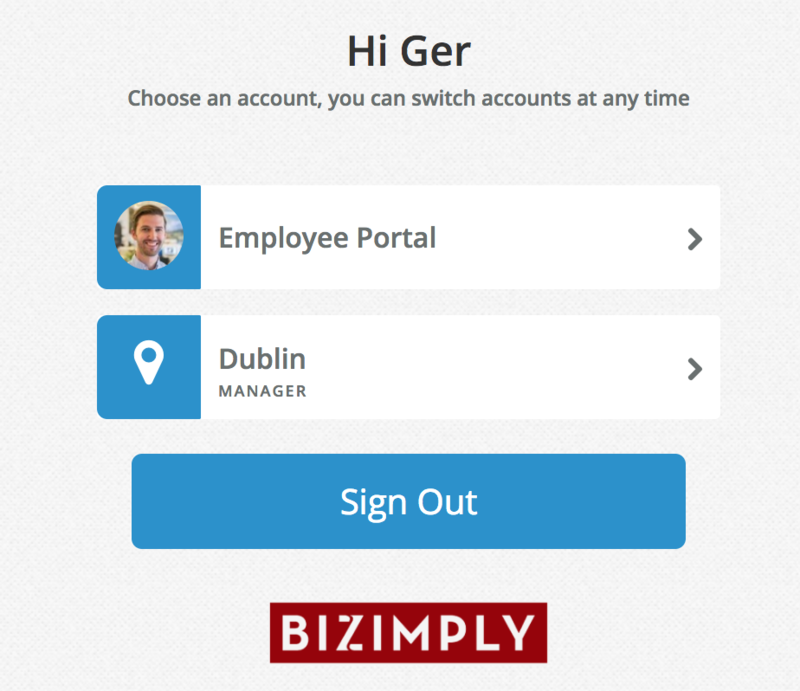 Logins to Bizimply should be unique to each individual as this ensures that the correct access is given to that staff member. Do not share your login details. Sign out of Bizimply after every use.